Recharged & Ready for Reality! I don’t think I realized how badly I needed a vacation until it actually started. Yes, I’m a pretty upbeat and positive human being, but we all have our moments. Between stress at work and in my personal life, I had more than my usual share of those moments over the past several months. As I start this new work week fueled with more energy than I’ve had in what feels like forever, I believe a lot of that stress got lost at sea in Montauk. Finally and perhaps most importantly, I also made a point of writing in my journal everyday. Like exercise, writing has always been a cathartic experience. I may be too afraid to say things out loud, but sharing those thoughts on the blank pages of my journal helps me see things more clearly, especially with a little help from an exercise-induced endorphin rush and some sea air. It was during one of those moments that I wrote my first poem in at least 15 years. I realize I’ve never shared a poem here on my blog, so I hope you’ll indulge me in this shift from the ordinary. Before you dive in, let me say I realize taking week off from work or life may not be possible in your life right now, but make sure you find some time to focus on taking care of yourself amidst the madness we call life. Sometimes an extended workout or escape to the backyard to catch up on some reading is what the body and soul need to recharge so you can have fun, be fit and feel fabulous! White foam stretches across the sand, only moments after the crash of a wave. All the while, the bright stars hidden in the city somehow shine down upon me from this night sky. The fire we cannot allow to die. 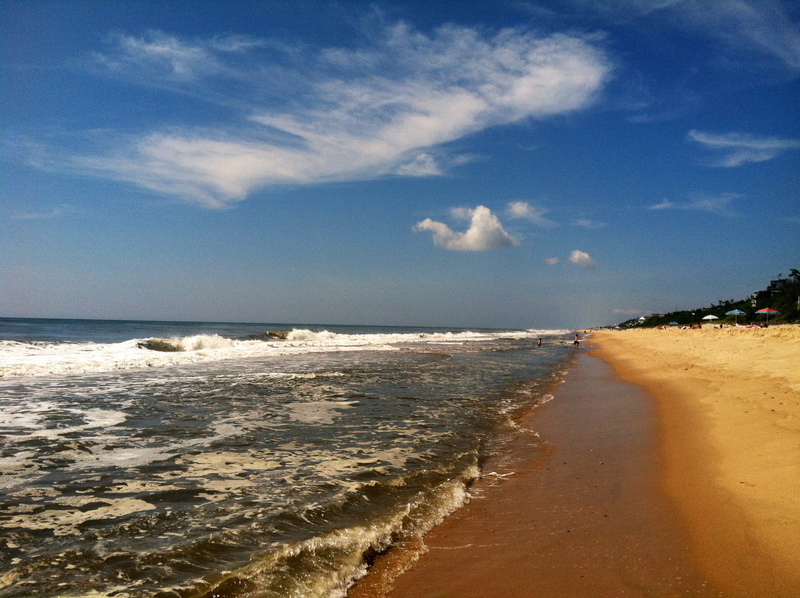 Posted on August 20, 2012, in Fitness, Health, Nutrition, Vacation and tagged Beach Workout, Laura DeAngelis, massage therapy, Montauk, stress and exercise, Tabatas, Vacation, Zumba. Bookmark the permalink. 4 Comments. This post projects the energy and the strength you drew from the time away, the time when you “left everything behind.” New experiences, writing in the journal again, the “new project,” and then sharing the poem. Your poem puts me back in that place of peace and refuge that is the ocean at night. Beautiful. Keep writing, keep sharing. Much wisdom and strong inspiration flows from your work and your example. Hello Tom, Many thanks for your comments. I do feel renewed and it’s amazing how making some time for yourself allows the creative, positive energy to flow again! I’m humbled to think my work can have a positive impact on such highly motivated people like yourself. Have a great Monday! I loved your poem! Thank you for sharing the encouragement to keep on keeping on in the caring of you! We’re no good to anyone else until we’re first good to ourselves in our emotional, physical, spiritual and mental health. Hello Laurie! So glad to connect with you outside of Twitterville! Thanks for your support and for your kind words. I just read more about you on your blog and YOU are an inspiration! You’ve been through so much and have so much to share with others – and I’m lucky to be on the receiving end of your kindness. Wishing you a wonderful rest of the day!